If there's one thing Hairy Dave loves nearly as much as himself it's when some one makes a puppet just like him. That's exactly where we start in this workshop. We provide blank puppets and the budding film makers can make them look like Hairy Dave or anyone else they can imagine. Once the puppets are made we spend some time getting to know them and how to work them. Puppets always have stories to tell so we explore what they have to say and how those stories can work with the other puppets in the room. Once we have all that figured out we turn on the camera and start making that magic! When the workshop is over we take everything home, put together the raw footage and make the films. We post the films online and send all the film makers a link so they can see their creations. Requirements : A room indoors and tables, plug sockets, contact email address for each participant. Cost : call us for a quote, we're more reasonable than you think! This workshop is packed full of skills from 3d construction to storytelling, team building, puppeteering and a whole myriad of other versatile skills. 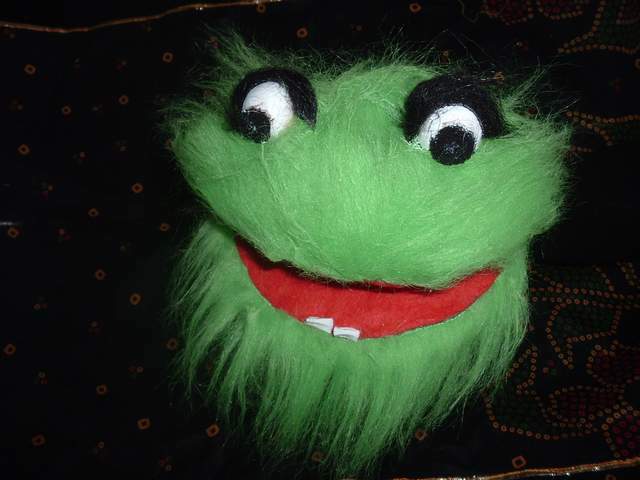 We emphasize the fun element of the workshop while also hoping to pass on a love of puppetry. If you would like to talk to us about how this could fit your programme give us a call click here or email our puppet helpline click here.